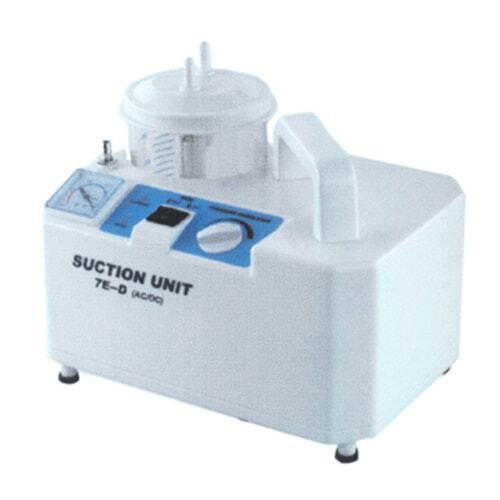 It is a medical suctioning machine that has been made for dependable, movable operation. Due to its compact, light weight it is easy to use, this device is perfect for suctioning at home, hospital, nursing homes . It has Two Bottles attached to it .